Tempo training is not just for bodybuilders. Olympic caliber athletes from all over the world use tempo training to become stronger, faster and more powerful. The benefits of tempo training have been touted for years by the likes of Bulgarian Olympians and their coaches to internationally renowned strength coaches Ian King and Charles Poliquin. 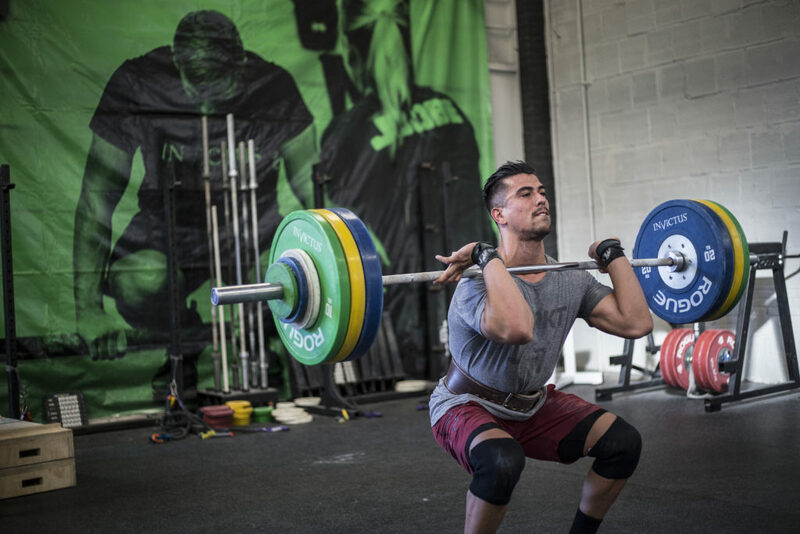 I was introduced to the benefits of tempo training by my coach and mentor, James Fitzgerald, who uses it very effectively to train many of the top CrossFit competitors. So, what is tempo training in lifting and training? It’s time for the entire Invictus community to understand how to read tempo prescriptions and understand why tempo training is beneficial. Tempo prescriptions come in a series of four numbers representing the times in which it should take to complete four stages of the lift. The first number refers to the lowering (eccentric) phase of the lift. Using our front squat example, the 3 will represent the amount of time (in seconds) that it should take you to descend to the bottom of the squat. In our front squat example, the prescribed 0 means that the athlete should reach the bottom position and immediately begin their ascent. If, however, the prescription was 32X0, the athlete would be expected to pause for 2 seconds at the bottom position. Yes, I am aware that X is not a number. The X signifies that the athlete should EXPLODE the weight up as quickly as possible. In many cases, this will not be very fast, but it is the intent that counts – try to accelerate the weight as fast as you can. If the third number is a 2, it should take the athlete 2 seconds to get the lift to the top regardless of whether they are capable of moving it faster. The fourth number refers to how long you should pause at the top of the lift. Take, for example, a weighted pull-up prescription of 20X2, the athlete would be expected to hold his or her chin over the bar for two seconds before beginning to come down. It seems silly to even mention how to count seconds, but I have heard many clients audibly count to 4 in less than one second while under a heavy load. So, to ensure that your 4-second count and mine are the same, use “one thousand,” as in: 1-one thousand, 2-one thousand, 3-one thousand, 4-one thousand. If you’re not sure yet about the benefits of implementing tempo prescriptions into your program, I would encourage you to try it for a month or two and see if it benefits your lifts. If you’re not sure how to create tempo prescriptions and you are looking for a program more specific to your needs than the Invictus workouts of the day, check out Invictus Athlete.